The firm that became Fulper Pottery Company of Flemington, New Jersey originally made stoneware pottery and utilitarian wares including drain pipes, varied forms of crockery crafted of stoneware, and “fancy” jugs sold to whiskey. In the mid-1800s, Abram Fulper acquired Hill Pottery and the name of the company was changed. After Abram’s passing, his sons took over in the 1880s and called the company Fulper Bros. In 1899, the company was incorporated as Fulper Pottery Co. The secretary and treasurer of the company was William Hill Fulper II, grandson of Abram, at that time. The company produced more household items such as storage jars and Fire-Proof Cookware during this period, according to StanglPottery.org. Their most famous product during this period was a water cooler of sorts with a germ-proof filter. Art pottery was produced by the company rather casually in the beginning when Fulper's master potter, John Kunsman, decided to throw a variety of vases and jugs with simple solid color glazes. 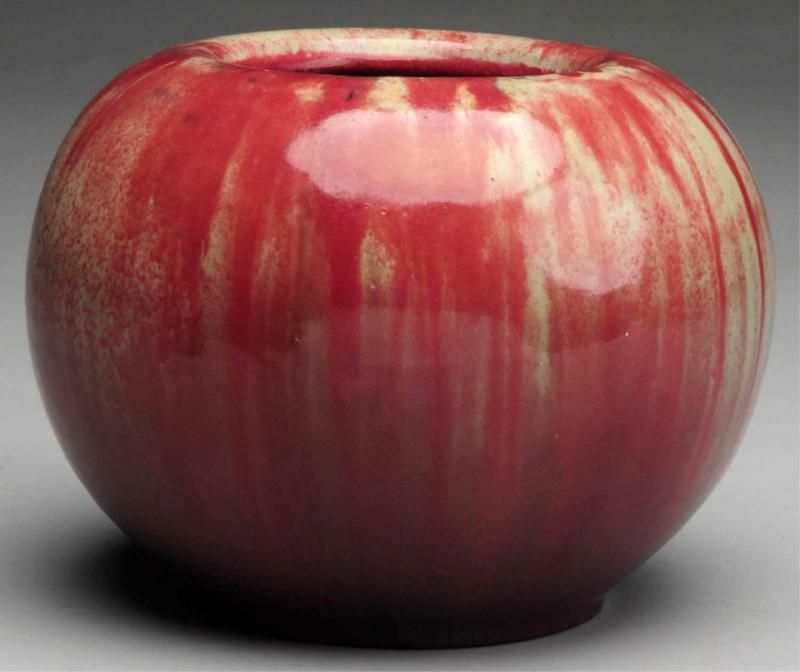 Noting an uptick in demand, William Fulper encouraged further development of art pottery lines. He hired a Rutgers University professor, Dr. Cullen Parmelee, to develop glazes reminiscent of “ancient and rare Chinese glazes.” These glazes put the Vasekraft line on the map when they were introduced in 1909, but many of them were hard to replicate. Martin Stangl joined Fulper as the company’s ceramics engineer in 1910. He developed many of the company’s recognizable pottery shapes and glazes that were easier to work with in comparison to the original formulas. His work also had more of an Arts & Crafts influence with earthy tones in comparison to the first lines. Fulper glazes, especially those used through the late 1910s, were very high in quality, according to JustArtPottery.com. These can be strikingly beautiful even on more simple pieces. Later wares offered more diversity but were less consistent in terms of quality. According to Warman’s Antiques & Collectibles 4th Edition, the early Vasekraft line was made from 1910-1915. Middle period (1915-1925) pieces included some of the earlier shapes, but they also incorporated popular styles with an Oriental influence. The later Fulper period (1925-1935) saw a heavy Art Deco influence, and pieces were made with interesting metal-clad finishes that were sprayed onto clay bases. Stangl was promoted to Vice President in 1924. This was the same year a second Fulper factory opened near the original. In 1926 a third location was acquired in New Jersey to keep up with demand. After William Fulper’s sudden death in 1928, Stangl continued operating the company as president. In 1929 Stangl purchased Fulper. He continued to produce art pottery through the mid-1930s when production was shifted to dinnerware most collectors associate with the Stangl name. The 1940s saw the introduction of hand-carved, hand-painted dinnerware that became best sellers. According to StanglPottery.org, “Stangl's dinnerware and artware were sold through over 3,000 department, gift and jewelry stores across America.” The Stangl showroom located in the former Flemington Fulper location drew travelers seeking top quality pottery in one of the first outlet-type stores until it closed in 1978. When American toy makers couldn’t get German porcelain during World War I, Fulper began making a line of completed dolls and doll heads to supplement the market. While this was a successful venture, it was short-lived. After the war, it was less expensive to resume purchasing porcelain doll parts imported from Germany and the company ceased production in that area. A number of different marks were used on this company’s wares, and these can be utilized to date them by a period. They all use the "Hobo" typeface which was introduced in 1910. The first mark, FULPER in a rectangle, dating 1910-1915 is commonly known by collectors and dealers as the “ink mark.” Fake ink marks have been drawn on some non-Fulper pieces with a black marker so it's wise to confirm authenticity before buying a costly item. The second mark, dating from 1915-1925, was incised or in black ink. This mark is distinguishable by the position of the "U" in the name, as it is slightly tilted. Some impressed marks on reproductions have been noted without the tilted U, and they do not have an oval surrounding FULPER. Others have been crudely etched by hand on fakes dating to the early 2000s. The last mark used by this potter, FULPER, is die-stamped and dates roughly from 1925 to 1935. Some paper labels were used as well, including a square example dating to the 1920s.